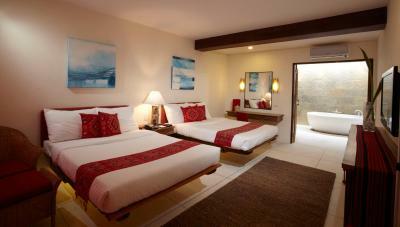 Lock in a great price for Bluewater Panglao Resort – rated 8.1 by recent guests! 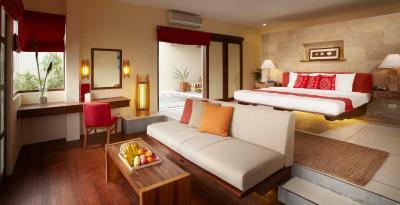 We enjoyed our stay.. our room is beside the pool so my kids love it.. the staff are super friendly.. This the best place for rest and relaxation. 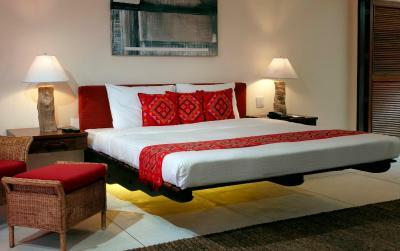 Not crowded, accommodating staff, big beds, good food. A bit pricey but worth it and more. The facilities are great and the staff is very friendly and helpful. We had a few issues during our stay and the staff solved it promptly. 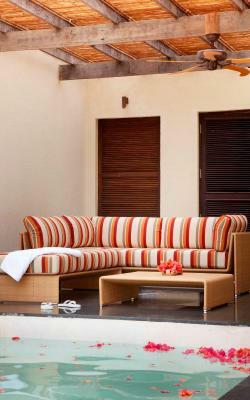 Everything about the resort was up to international standards. Our experience from the pier transfer, to check in, to our stay was exceptional. The staff are all very friendly and helpful - from the security guard, front desk, life guards,room service, bar staff, spa staff and restaurant staff. The grounds and facilities are very good, especially the pools. The room was big, modern and had all the things that we needed. We were fortunate enough to be at the resort when they had their cultural night, where there were local dancers doing cultural dance while we had dinner. The location is good. 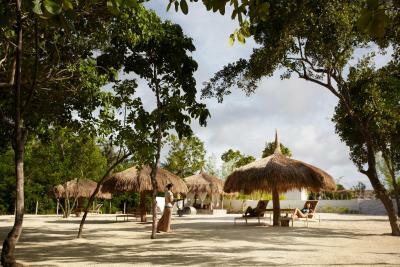 It was very private, and yet close enough to Alona beach which you can access by tricycle. 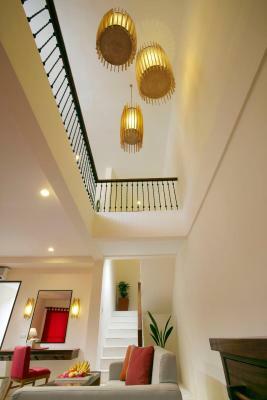 The beds were amazing and the villa rooms were great as shown in the photos! The staff was very accommodating and tried to help us with all our requests. The breakfast buffet was also a delight! 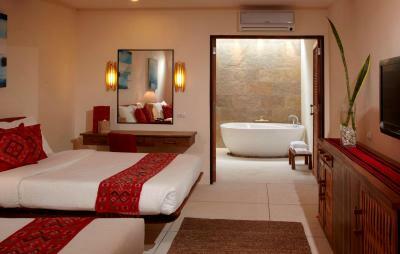 Nice rooms and baths. Clean and roomy. Two big pools and great massage! We all three got sick during our stay and the staff was such a great assistant and help! They really gave they’re all for us!! Room was clean and cozy. 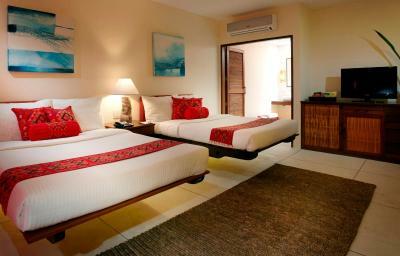 Both the bedroom and bathroom were spacious and beautifully decorated. Breakfast buffet had great variety of dishes and all was delicious. Despite the need of renovation the pool areas were beautiful. Buffet is excellent a lot of viand to choose..the room is big enough for 3 adults and a swimming pool just for us is beyond expectation!..staff have a ready smile on you..the place is huge and intagrammable ! 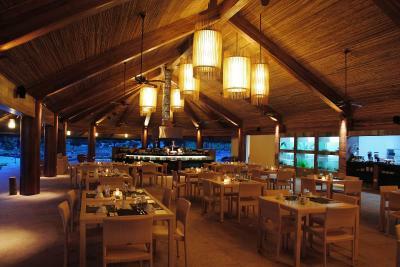 We love the food, a bit pricey but it was good. All the staff are very polite and accommodating. 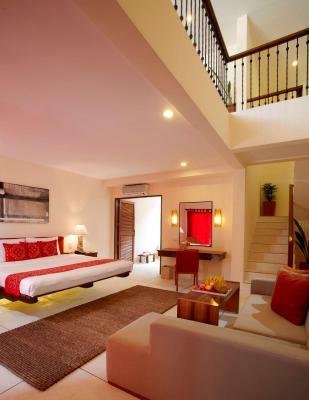 Bluewater Panglao Resort This rating is a reflection of how the property compares to the industry standard when it comes to price, facilities and services available. It's based on a self-evaluation by the property. Use this rating to help choose your stay! 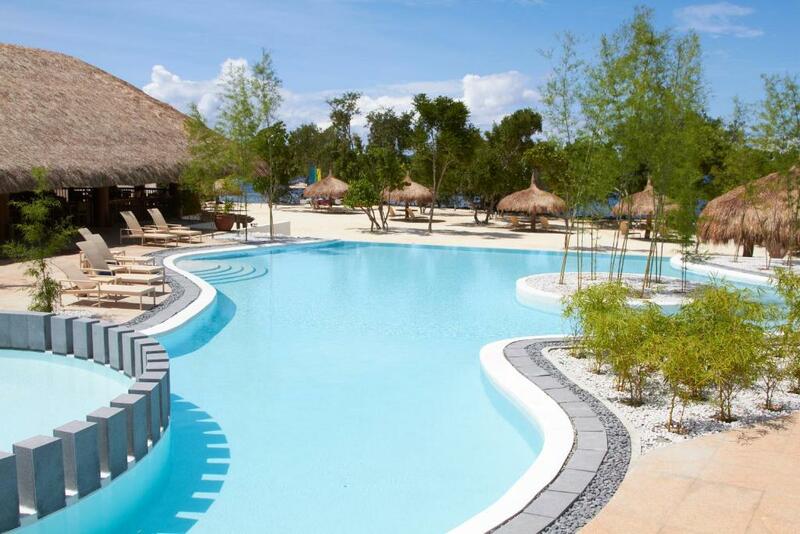 Featuring a private beach area, Bluewater Panglao Resort features 2 lagoon-shaped outdoor pools, 2 dining options and a business center. Free Wi-Fi access is available in its public areas, while parking is provided on site at no charge. With tile floors, air-conditioned rooms are furnished with a wardrobe, a satellite/cable TV, an iPod dock and sitting area. Private bathrooms have a bathtub or shower, a hairdryer and free toiletries. 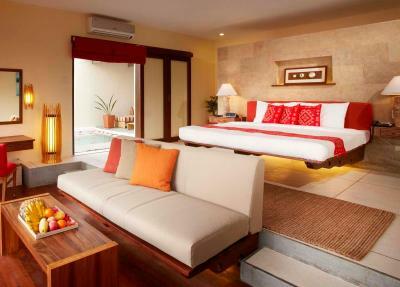 Rooms also have a balcony overlooking the pool. 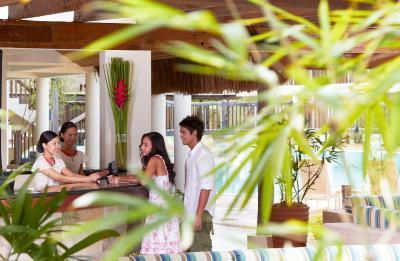 Bluewater Panglao Resort operates a 24-hour front desk that can assist with laundry, massage and car rental services. 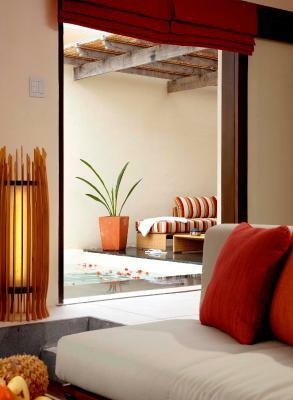 Guests can enjoy diving at the beach or indulge in a pampering massage at its spa. Meeting/banquet facilities are also available. 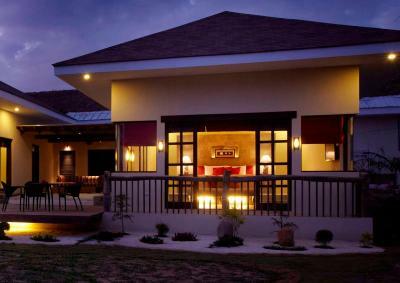 The in-house Aplaya Restaurant serves a fusion of local and Asian cuisines, while the poolside bar has a variety of beverages and light snacks. Meals can also be served in private with room service. 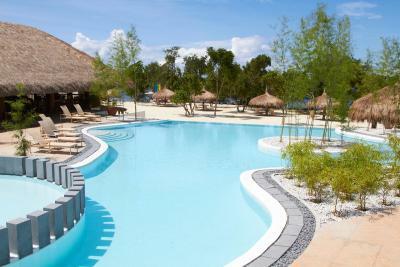 Bluewater Panglao Resort is conveniently located 7 miles from Tagbilaran Airport. The ancient Baclayon Church is 8 miles away, while the famous Chocolate Hills is 34 miles away. 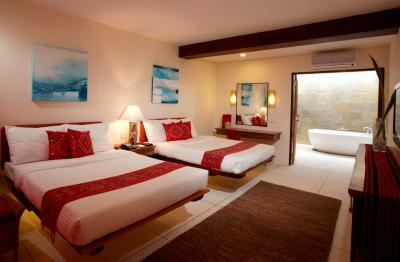 When would you like to stay at Bluewater Panglao Resort? Featuring a balcony with pool views, spacious air-conditioned rooms offer a wardrobe, a satellite/cable TV, an iPod dock and seating area. 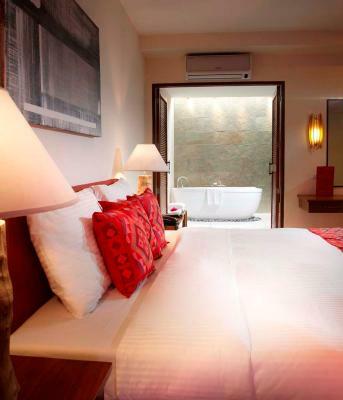 Private bathrooms come with bath or shower, a hairdryer and free toiletries. 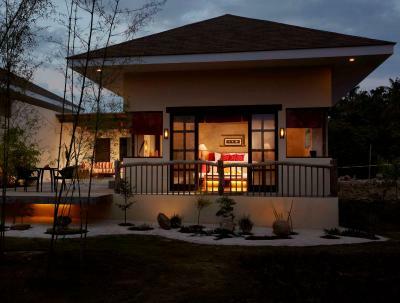 A two-story accommodations with a loft-style bedroom and a private veranda. 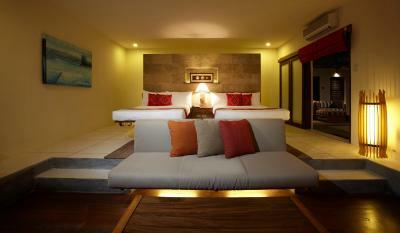 It can accommodate 4 people with 1 king-size bed and 2 queen-size beds. The loft is equipped with a mini-bar, a cable TV and an ipod docking station. The bathroom has a bathtub and shower facilities. 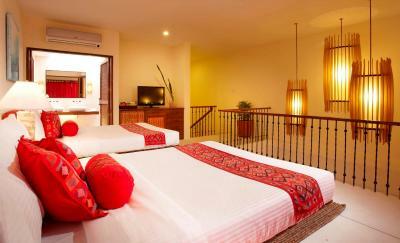 A spacious villa fitted with 1 king-size bed and facilities like a mini-bar, a cable TV and an ipod docking station. The bathroom has a bathtub and shower facilities. 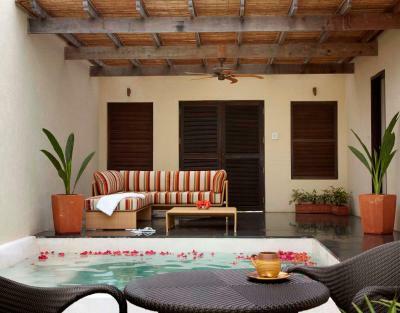 The villa features a private dipping pool and an Illy espresso machine. 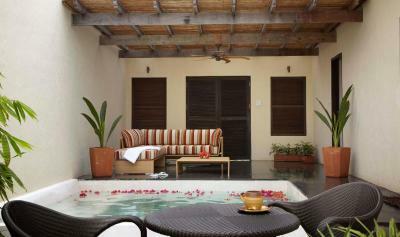 A two-bedroom villa with a private dipping pool and fitted with 1 king-size bed and 2 queen-size beds. The villa is equipped with a mini-bar, a cable TV, an Illy espresso machine service and an ipod docking station. The bathroom has a bathtub and shower facilities. 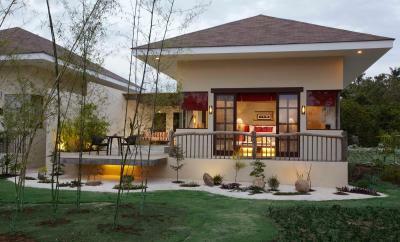 House Rules Bluewater Panglao Resort takes special requests – add in the next step! 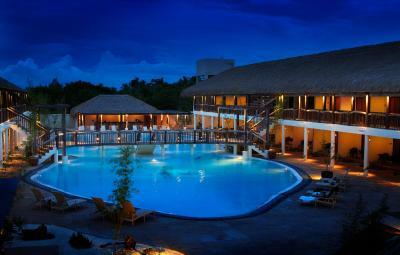 Bluewater Panglao Resort accepts these cards and reserves the right to temporarily hold an amount prior to arrival. Please note that breakfast for children is not included in room rates. Breakfast for children is available at an additional charge. 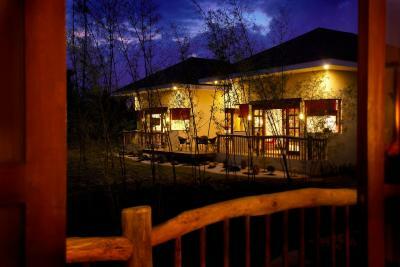 Please note that the guest name on the reservation must be the same as the name on the card used to make the booking. 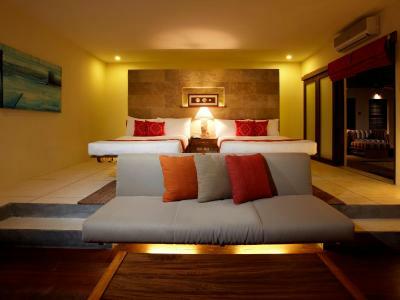 The credit card used to make the booking must be presented upon check-in. 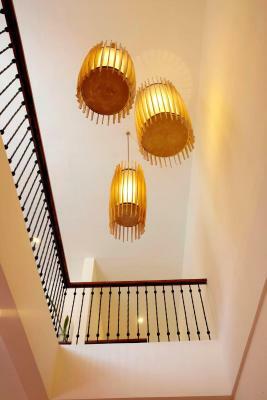 Please contact the property directly for further details. The property will be undergoing renovations from Mon, Feb 11, 2019 until Tue, Dec 17, 2019. During this period, guests may experience some noise or light disturbances, and some hotel facilities and services may not be available. Beach in front. Not so good to swim due to sea plants and rocks. The beachfront wasn't the same as with the photos. It was rocky and hard to get to during low tide. It'd have to be high tide to enjoy the beach well at the hotel. Too bad as well that there was a construction at the resort at the time of our stay. Beach was not so tempting and kayaking was only possible in a small area. The hotel is a bit far from the town so you have to take a ride to get there. One day hotel run out of cheese so they were not able to make almost any of the Menus choices. So we had get to the town to seek for a food and had to change our program for the last day. The tv in our room was not working and when we mentioned about it they promised to send someone to fix it but nobody ever came. The drinks were terrible and pool was in need of renovation. At New Years party the band was so loud that one could have a hearing impairment (not joking) and the food was littlebit weird and propably targeted for the chinese quests. 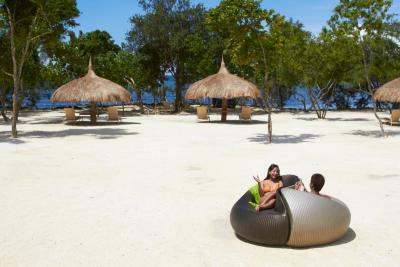 Uncomfortable beds, they charged for shuttle service to Alona Beach. During our stay my family did not enjoy the beach..unluckily its lowtide!! Never got the chance to swim at the beach. It was dirty. Water was not clear unlike other beaches. We were disappointed at the beach. I learnt from the hotel that it is a man-made beach. The sand is coarse and you would not really want to swim at that beach. The food at the restaurant was okay (don't try the oysters) but I think there would be better options out there in town. 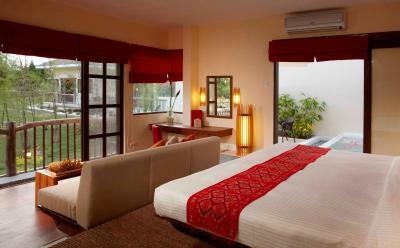 The room, especially the bathroom, is spacious. Love the design of the hotel. The little path leading to the restaurant is beautiful and we had a great time playing frisbee at the large pool. Staff were friendly and helpful.